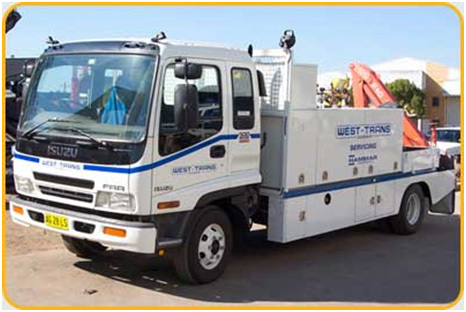 West Trans Service (NSW) Pty Ltd is a long established heavy trailer service, maintenance & repair centre operating from Prestons. Our services include repairs, inspections, sideloader hire, compliance work and maintenance on all hook lifts, skip loaders, Hammar Side Lift Trailers and HMF Cranes. Our qualified team are able to advise and carry out repairs as necessary, utilising the latest machinery, tooling and technology required for all servicing and maintenance needs, ensuring our customers have reliable, safe, & well performing machines..